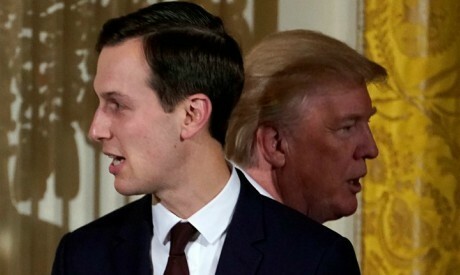 US President Donald Trump’s senior advisor and son-in-law Jared Kushner’s recent tour of Middle Eastern countries has rekindled speculation over the Trump administration’s so-called “deal of the century” to resolve the Palestinian-Israeli conflict. An interview he gave to the Sky News Arabic service while in the UAE, which he visited as well as Saudi Arabia, Oman, Bahrain, Qatar and Turkey, stirred controversy in Israel, which is readying for early elections in April, and in the Arab world where public opinion is particularly concerned with the status of Jerusalem and the Palestinians’ right of return. According to official sources in Cairo there is as yet no fully-fledged plan to discuss, though there are clear principles that any plan must include, something Egypt reiterated during the Arab-European summit held in Sharm El-Sheikh last week. When Egyptian President Abdel-Fattah Al-Sisi met Palestinian President Mahmoud Abbas on the sidelines of the summit, he reaffirmed Egypt’s determination to support the Palestinian cause and, in close coordination with the Palestinians, “forge a strategic vision for creating avenues for constructive action that will serve to create a climate conducive to the stability of the situation on the ground”. Al-Sisi also stressed Egypt’s unswerving commitment to a two-state solution, a Palestinian state within the pre-June 1967 borders and with its capital in East Jerusalem. Riyadh also reiterated its stand on Jerusalem, stressing that there should be no tampering with the city’s historical and legal status. It is noteworthy that Saudi Arabia’s reaffirmation was voiced from Jordan, signalling Riyadh’s solidarity with Amman which would of course bear the brunt of any measures to organically link it to the West Bank or naturalise Palestinian refugees residing in Arab countries. In his address to the Arab Parliamentary Union conference in Amman this week Sheikh Abdullah Al-Sheikh, Chairman of Saudi Arabia’s Shura Council, said his country “categorically rejects any violation of the historic and legal status of Jerusalem” and “rejects and condemns any resolution that calls for the recognition of Jerusalem as the capital of the Israeli occupation forces”. Israeli affairs expert Said Okasha says the question of Jerusalem remains a major sticking point in efforts to reach a settlement because of overwhelming Arab opposition to any infringement on the holy city. No Arab leader would venture to defy the overwhelming consensus. “It appears that the US administration understands this. True, it moved its embassy but, at the same time, it made no mention about the borders of Jerusalem which means the proposed capital [of the Palestinian state] could comprise a part of Jerusalem along with Abu Dis. But this still leaves the problem of the Holy Sanctuary which must fall within the Palestinian part of the capital. “Otherwise the deal will fail, regardless of engineering solutions such as ring roads to link Jerusalem with other Arab areas,” says Okasha. Much play has been given to the notion of “economic peace”, particularly in the Western media. Press reports mention plans to invest tens of billions of dollars in Gaza, the West Bank and neighbouring countries as an incentive to accept the deal. This was confirmed by a source from the Gulf involved in meetings connected to Kushner’s Middle East tour. But the plan is still hazy. The New York Times quoted a source in the Gulf saying, “The Americans are still in the process of presenting various ideas and scenarios but don’t appear to have arrived at the final parameters of a plan”. Another source in the Gulf told the New York Times that Kushner “wanted to make a deal first and then agree on details”. General Mohamed Ibrahim, a Cairo-based expert on Palestinian affairs, believes “the plan is incomplete. When that happens, the Arab strategy will be neither to reject nor to accept the plan, say the majority of sources contacted by Al-Ahram Weekly. Instead, specialised legal and diplomatic committees will be formed to study the plan and formulate possible responses which will be presented to Arab leaders. Ibrahim, a former intelligence official, stresses that any plan must meet Arab demands pertaining to Palestinian rights and the relevant international resolutions on Palestine. “I imagine that there will be provisions that are acceptable and others that are not. What matters is that we do not act hastily or issue opinions prematurely,” he says. It is an approach with which the Palestinian president agrees. Abbas has made clear that the Palestinians will not accept an agreement that fails to meet Palestinian demands. Former US president Barack Obama’s peace process envoy Martin Indyk also observed that the Arabs could not accept a plan that does not clearly provide for a sovereign Palestinian state. He added that the plan sought to help the Palestinians “achieve what’s been elusive to them for a long time”. Okasha told the Weekly, “In principle, we understand from the signals that a proposal is out there that some will accept and others won’t. “The Trump administration says that the plan is almost ready and it has not set a deadline for its acceptance or rejection. With regard to the proposed territory [for a Palestinian state], it will probably include a large portion of the West Bank and Gaza. As for refugees, it might address the 5,000 Palestinians described as the first generation that was expelled from the territories before the 1947 partition resolution. Neither the Palestinians nor the Israelis have signalled their readiness to accept a deal. “The Knesset has been dissolved and so has the Palestinian Legislative Assembly. The current governments are caretaker governments. So who is there to approve the plan?” asks Okasha.